Alfreda Singleton-Smith works as a Home Study Assistant with MLJ Adoptions. She visits with MLJ Adoptions’ Indiana families and assists them in completing their home study. Her favorite part of her role is meeting new families as they begin their adoption journey. She feels fortunate to be able to help them realize their dream to become parents through adoption. She is thankful to work for an agency that provides quality and ethical adoption services to adoptive families. She has been blessed to experience adoption from several vantage points. Alfreda has over 25 years of professional experience in adoption. She has chosen child welfare and adoption as her career because it allows her to actively participate in a process that helps waiting children and parents form loving and nurturing families. After several years of working on behalf of others, her family made the decision to experience adoption on a personal level by beginning their own adoption story. Twenty plus years later and they are all still enjoying their adoption journey! When she’s not working, Alfreda enjoys attending church, spending time with her family formed through birth, adoption and marriage, including the smartest grandsons on the planet! She likes to spend time with friends, read and scribble down bits and pieces for “the book” that she will write one of these days. She also serves as a facilitator for a support group for kinship care families in Marion County and mentors new social workers. 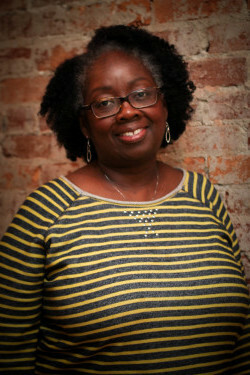 Alfreda earned her Bachelor’s Degree in Social Work from Western Kentucky University and completed her Master’s Degree in Social Work from the Indiana University School of Social Work. She has spent more than 25 years providing direct and indirect support and services to waiting children and adoptive families in foster, domestic and international adoptions.